M. Levy, The Drawings of L.S. Lowry, London, 1976, nos. 12 and 14. This double sided drawing from the antique was made while Lowry was at Manchester School of Art. 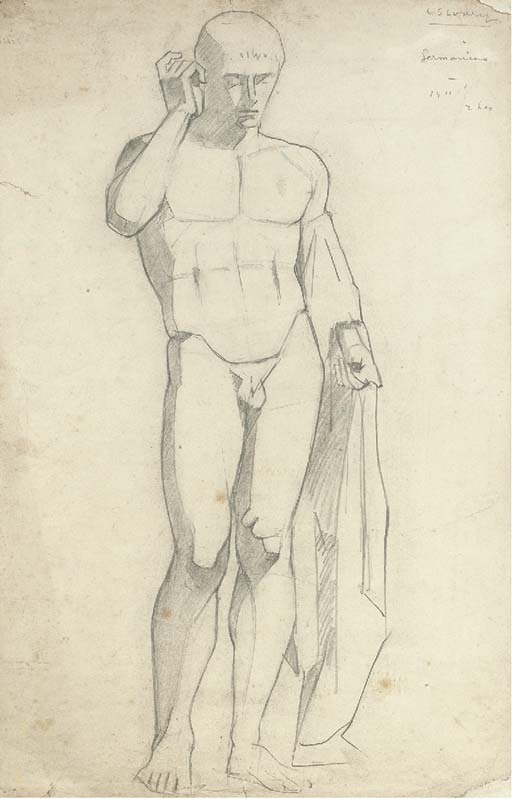 In 1905 he was accepted as an evening pupil in preparatory antique and freehand drawing. He studied there until 1915, progressing to the life class. In 1915 he began life classes at Salford School of Art. There is a related drawing, more fully developed and from a slightly different angle, in the collection of the City Art Gallery, Salford.